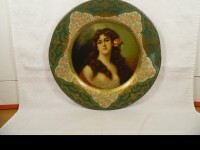 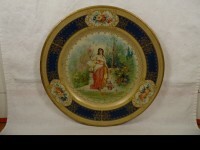 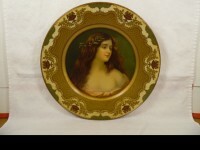 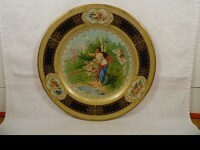 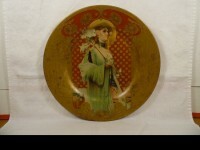 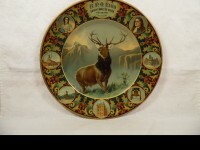 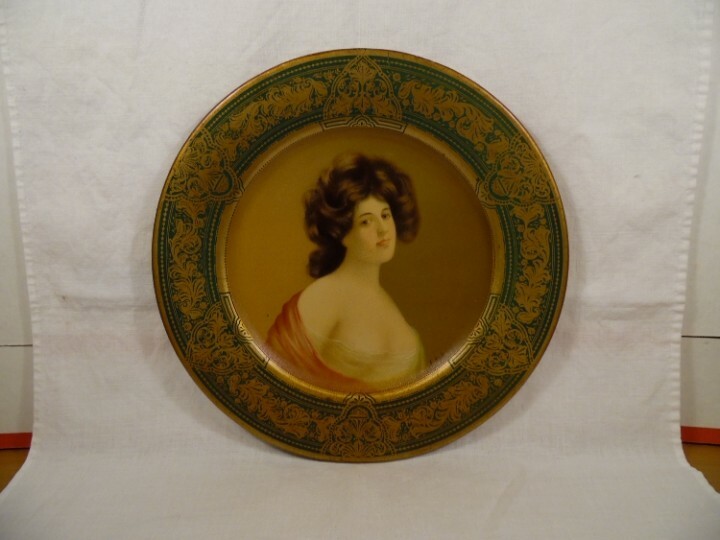 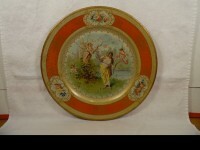 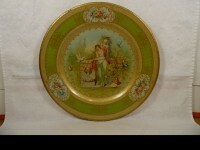 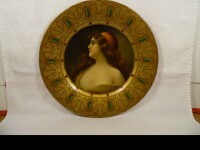 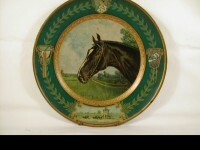 Vienna Art tin plate, about 10 inches diameter. 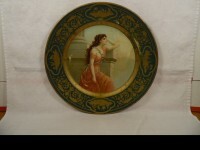 Plate shows some age, use and wear, has some crazing. 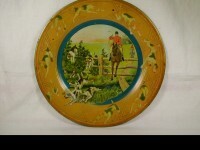 A nice looking plate.